Csilla Sadloch searches for visually compelling objects on her daily walks in the woods. 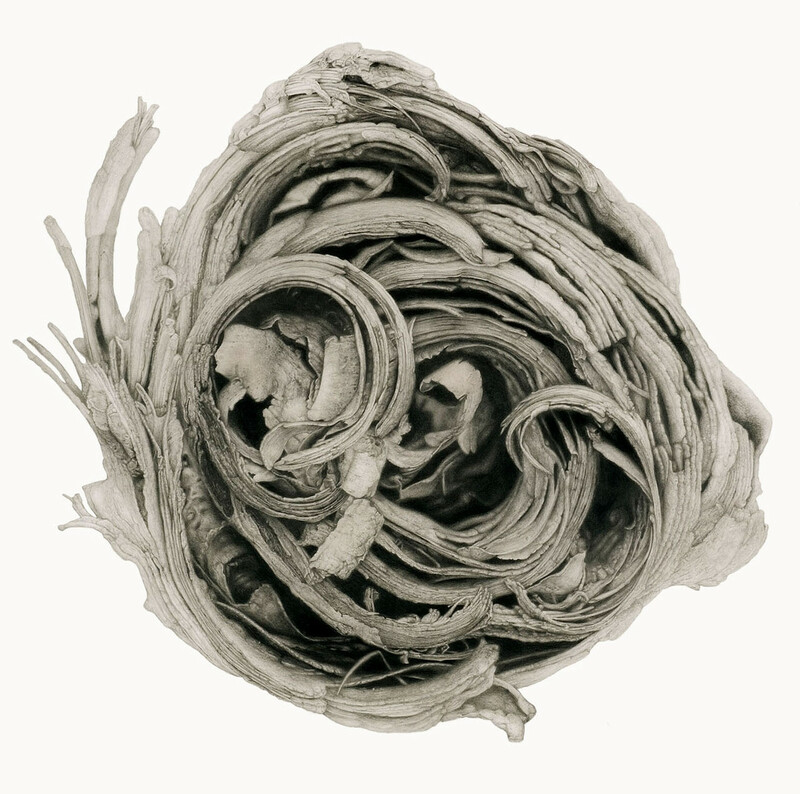 Sadloch photographs hives, tree roots, barks, and other natural objects that capture her interest. Sadloch found a scattering of barks discarded to a compost heap at a nearby park. The barks were fragile, dried, and small but Sadloch saw their visual potential. Sadloch photographed the barks from various angles and enlarged the miniature barks to a massive scale. By focusing on interior detail, highlights and shadows, repetition and by isolating the bark from its background, Sadloch heightens the dramatic effect of the drawing and invites the viewer to contemplate its seductive peelings and organic rhythms.